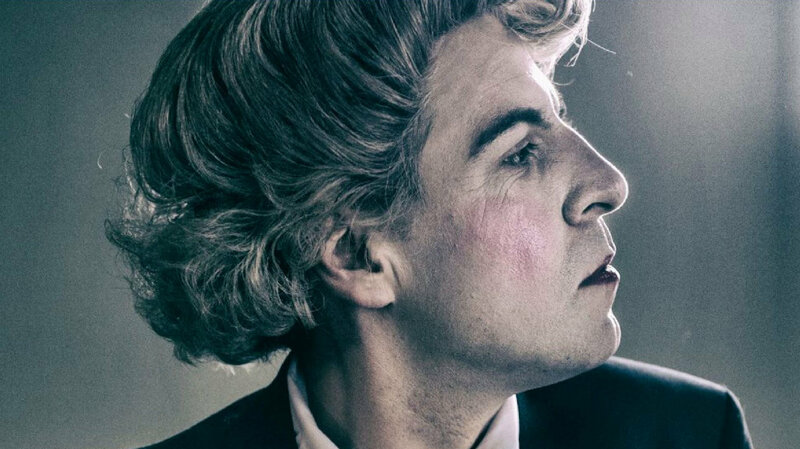 Within post-Stonewall gay culture, Quentin Crisp has not been universally beloved. And how could he have been, really? The British-born writer and raconteur—who died in 1999 at age 90—was a stubborn contrarian. He advised his readers and listeners to seek happiness by looking inward rather than by seeking true love or taking up causes. Claiming that homosexuality was a disease, he pooh-poohed the idea of gay people taking political action in order to win rights or gain wider acceptance. In the early years of the AIDS epidemic, he said publicly, “Homosexuals are always complaining of one ailment or another. AIDS is a fad, nothing more.” Such talk won him few new fans and certainly robbed him of some old ones. On the other hand, he reportedly donated money quietly to AIDS charities in his final years. And—if actor/writer Mark Farrelly has it right in his monodrama Naked Hope—Crisp, though a solitary man, nevertheless found considerable joy in being around other people. Especially Americans. Particularly American men. For years, Crisp, who relocated to New York in 1981, kept his name listed in the Manhattan phone directory, and he would chat with almost anybody who rang him up (and he would gladly accept their proffered dinner invitations). Farrelly brought Naked Hope to Feinstein’s/54 Below recently. This show reminded us of what people found admirable about Crisp in the first place: his courage, as a young homosexual man in London in the early decades of the 20th century, to face hard realities unflinchingly, and his refusal to pretend to be something other than what he was—lavender hair, painted face, and all. The show was divided into two sections. Part 1 was set in London sometime in the 1960s. Here the audience took on the role of a guest at Crisp’s famously grime-encrusted flat. The character, dowdily dressed and barefoot, described his metamorphosis from Surrey-born Dennis Pratt to flamboyant London eccentric of the first order. This is the part of his story that Crisp covered in his 1968 book, The Naked Civil Servant, which in 1975 became a television program starring John Hurt. Farrelly presented his subject as a man with a surprisingly imposing presence. Spreading his arms wide, Farrelly looked as if he would be capable of beating back the ruffians that bedeviled Crisp regularly in the London streets (something Crisp himself never tried). Farrelly struck me as too tall for the role—but I was mistaken. Crisp (according to IMDb) was in fact 6’1″. Farrelly moved assuredly. In a sequence about Crisp’s work as a life model, he struck various poses, essentially giving us a dance interlude. Unfortunately, he began the show wearing a most unconvincing Harpo Marx–style wig and makeup that made him look more than a little like Cesar Romero as the Joker from TV’s Batman. A deeper problem surfaced in scenes in which Crisp stepped out of his role as narrator in order to enact flashback sequences. At one point he even fell to the floor while being tormented by an invisible bully. It’s a stretch to believe that Crisp would ever tell a story by acting it out in this way. The flashbacks effectively did the opposite of breaking the fourth wall. They erected a temporary fourth wall, which quickly needed to be dismantled when Farrelly returned to narrator role. Midway through the show, the lights dimmed. Farrelly stripped to his skivvies and then dressed himself onstage as the character at the very end of his life. Part 2 gave us the Crisp most of us picture when we hear his name: distinguished in a louche sort of way, prim-faced, and silver-haired. Fortunately, the wig Farrelly wore for this part of the show was better than the earlier one. Farrelly also adjusted his voice, making it raspier and more geriatric-sounding. The occasion for Part 2 was one of the 1998 shows that Crisp performed at Manhattan’s Intar Theatre. Blessedly, in this part of the show Farrelly’s Crisp had no need to enact any more of those clumsy flashbacks. He weighed in on hot topics of the day, including the Bill Clinton scandal and the trajectory of Madonna’s career. Near the show’s end, he reenacted a regular feature from Crisp performances: a question-and-answer encounter with the audience. Farrelly used scripted questions—perhaps ones that had actually been asked of Crisp—not spontaneous queries from the F/54 audience. He called to the stage a young man, who assisted him by reading the questions aloud. In addition to responding, Farrelly engaged in improvised banter with the fellow, never breaking character. Wicked? Yes. Clever? Certainly. Effervescent? Not so much.